Danielle Thomas, 16, a sophomore at McHenry West High School, was killed in a crash in Wauconda. 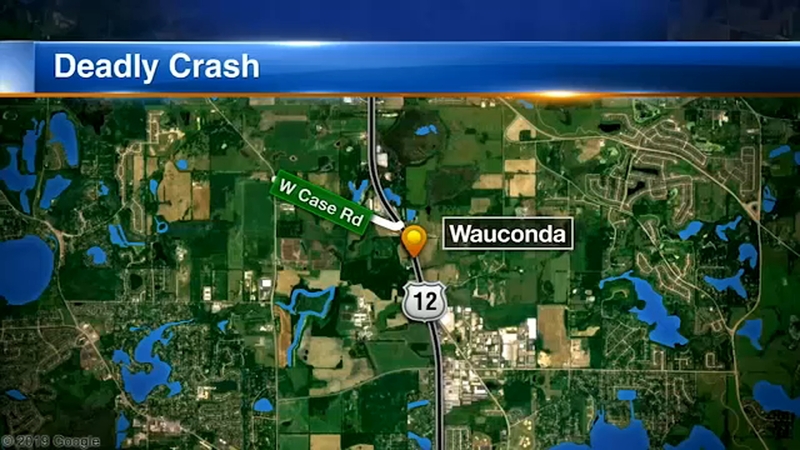 WAUCONDA, Ill. (WLS) -- A 16-year-old McHenry West High School sophomore was killed Friday in a two-vehicle crash in north suburban Wauconda. At about 10:15 p.m., the teen - identified as Danielle Thomas - was driving northbound on Route 12, just south of Case Road, when a Hyundai Elantra crossed the median and hit her Ford vehicle, according to the Wauconda Police Department. The driver of the Elantra - an 18-year-old Cary man - was traveling southbound when he crossed over and collided head-on with the girl's Ford vehicle. The girl was extricated and transported to Good Shepherd Hospital where she later died of her injuries. Three passengers in the girl's vehicle, ages 14 and 15 and all of McHenry, were also hospitalized. The crash is under investigation. Charges are pending, police said. Inspection of the Elantra's black boxes, which might yield information on his speed and driving characteristics at the time of the crash, have been slightly delayed as some relatives of the 18-year-old driver did not provide immediate consent to have that information released. On Monday, her fellow students wore purple to remember her. Thomas' locker was decorated and there was a bow on a tree in front of the school, a parent said. "She was a really sweet girl she talked everyone and she was always so happy and she never had a negative bone in her body," said student Lena Rogers.